A group of police officers who were charged with neglect of duty following the death of a soldier in custody five years ago have been cleared by an independent inquiry. 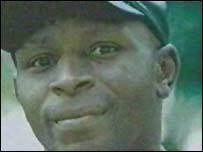 Christopher Alder, 37, died at Queens Gardens Police Station, Hull, in April 1998. The former paratrooper had been arrested after he became abusive and aggressive at Hull Royal Infirmary. An inquest ruled the father-of-two was unlawfully killed. But the trial of five police officers charged with manslaughter collapsed in 2002. Sergeant John Dunne and Constables Martin Barr, Neil Blakely, Nigel Dawson and Mark Ellerington were all suspended after Mr Alder's death. The inquiry was held by the Chief Constable of Cleveland Police, Sean Price, upon the recommendation of the Police Complaints Authority. Humberside Police have now told the men they can return to their jobs after being cleared of neglect of duty. But the news was not welcomed by Mr Alder's family, who are applying for the case to be heard in the European Court of Human Rights. His sister Janet Alder told BBC Look North: "I'm absolutely disgusted, angry and absolutely appalled. "I've a real fear for people in the future."